This mattress defines the Paradigm of newfangled product development. The temperature sensitive visco elestic memory foam used in this mattress reduced pressure points and adapts to your bod's heat and weight giving you the most relaxing night's sleep. Its perfect combination with springs provide excellent lumbar support. 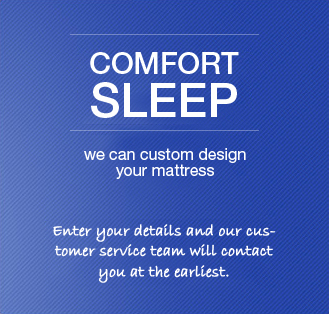 This mattress beats stress and fatigue inducing deep sleep. Available in : 6" & 8"